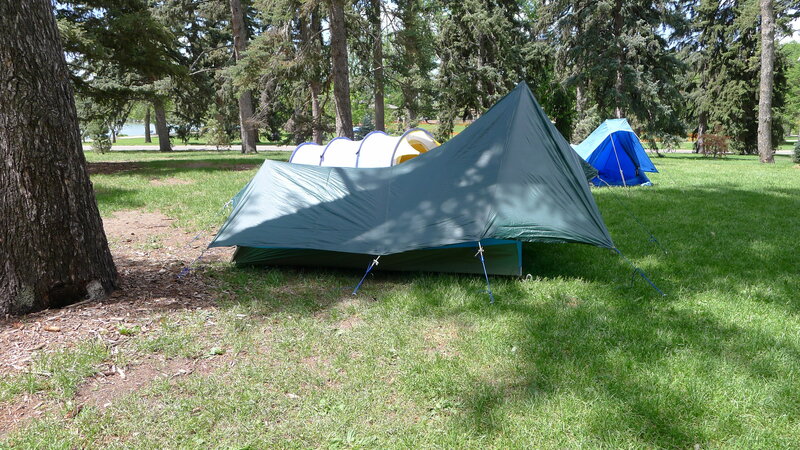 This two-man tent is constructed using two poles at front one at rear. 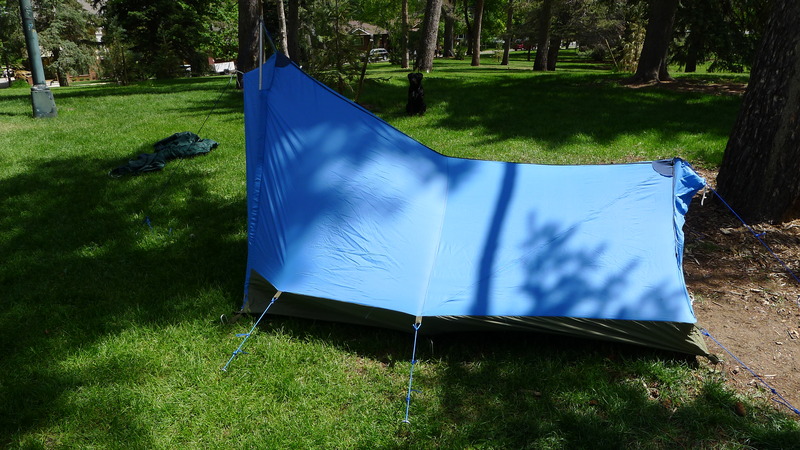 The front poles fit together with loops at the top and support the tent body which is ran up over the crossed loops and pulled taut with a staked cord. 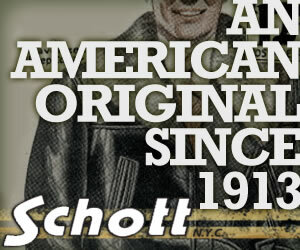 The single rear pole is shorter and is secured by top and bottom grommets and staked down with a cord. 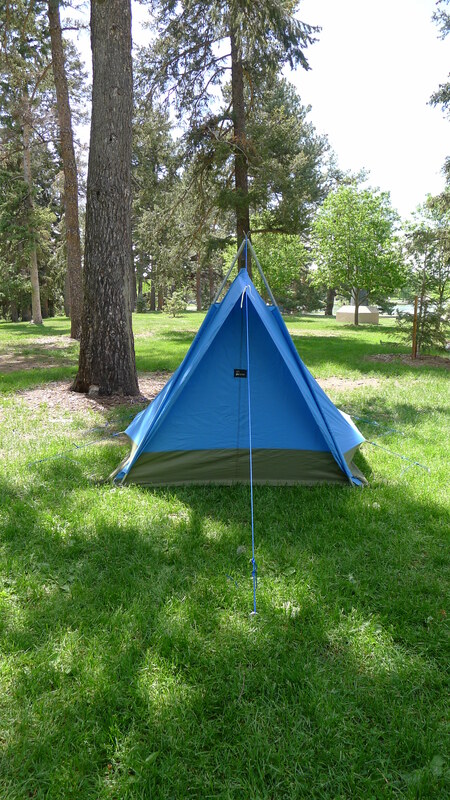 The tent comes to a high point at the front and is only about half as tall at the foot. 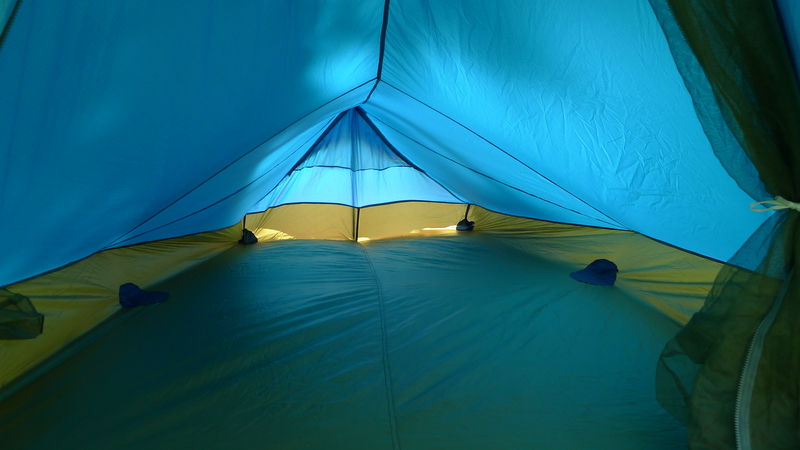 The tent has a rain fly, but does not offer a fully enclosed vestibule. 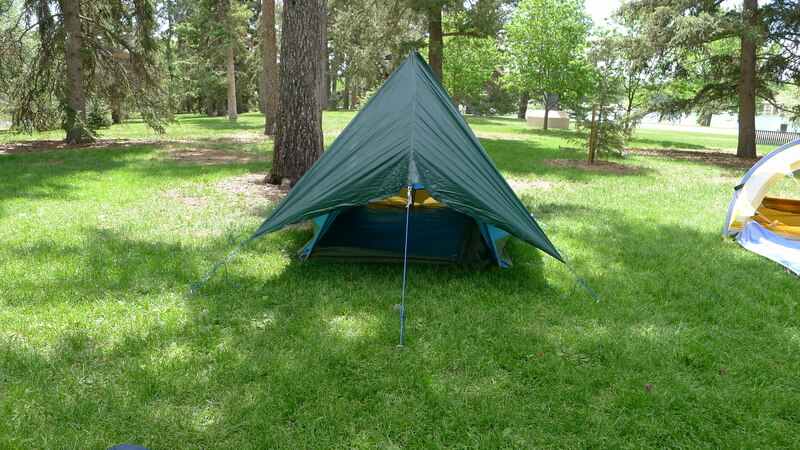 It would most likely be considered a two or three season tent. 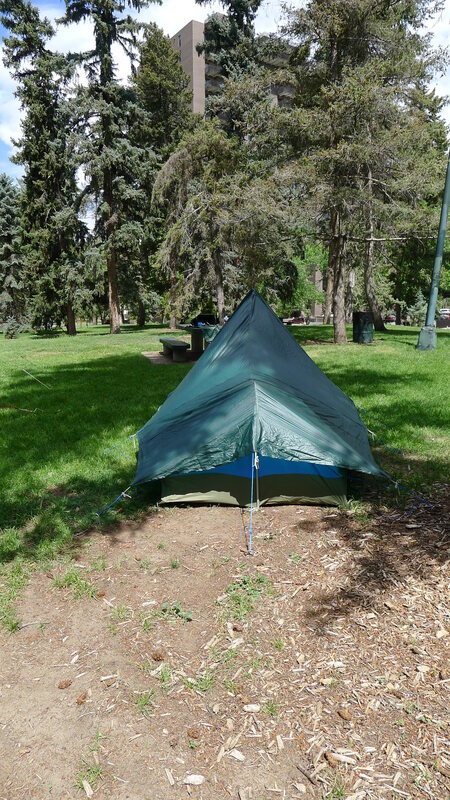 I received this tent from the original owner who said it was purchased from the original Holubar store in Boulder, Colo. in the early 70s. 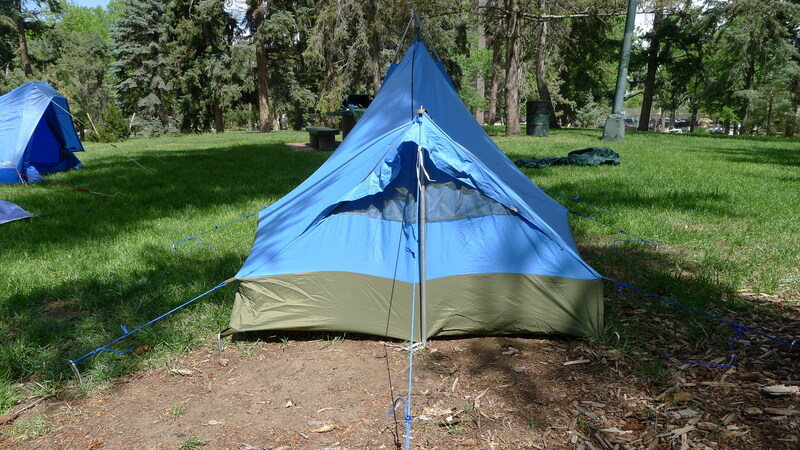 The tent bears a similarity to Holubar tents of the era and has good reason. 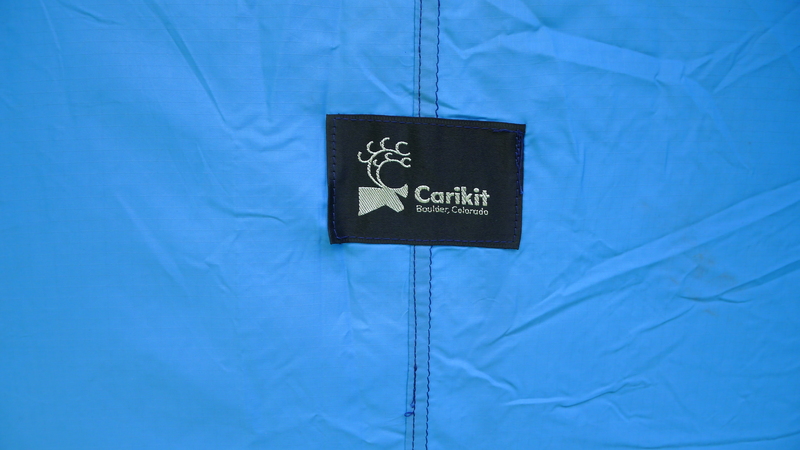 Cari-Kit was the label originally used on Holubar’s line of sew-it-yourself products in 1972. The name was later abandoned and the kits rebranded as Holubar Sew-It-Yourself Kits. 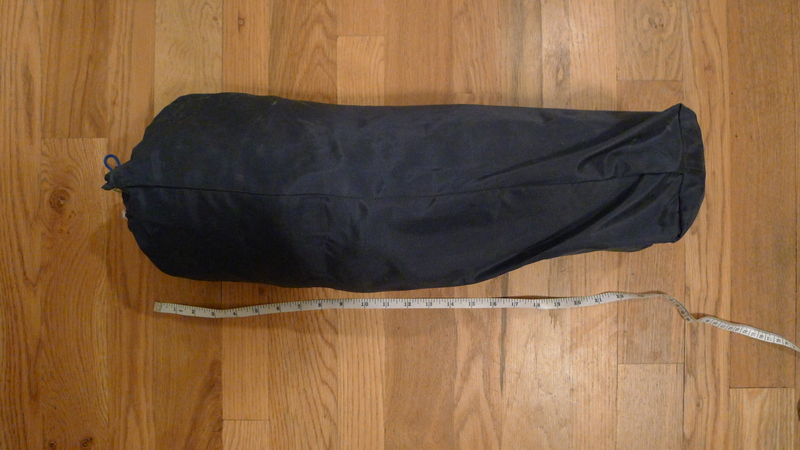 This tent is available for sale.